But, if we listen carefully, the solutions to the climate crisis also come from Commerce. All around Los Angeles this month, little orange-and-black butterflies were flying stubbornly north, a vast migration of Vanessa cardui, aka painted ladies, their numbers swelled by the exceptional lushness of the spring. Last season’s fires were nearly matched in exuberance by this winter’s rains. That’s how it’s going to be from now on, the climate scientists say—long spells of extreme drought punctuated by years of unusually heavy rainfall. For now, the mountains above the city are white with snow and every unpaved patch of earth gleams an almost-electric green. The butterflies seem to favor the open channels of the freeways. 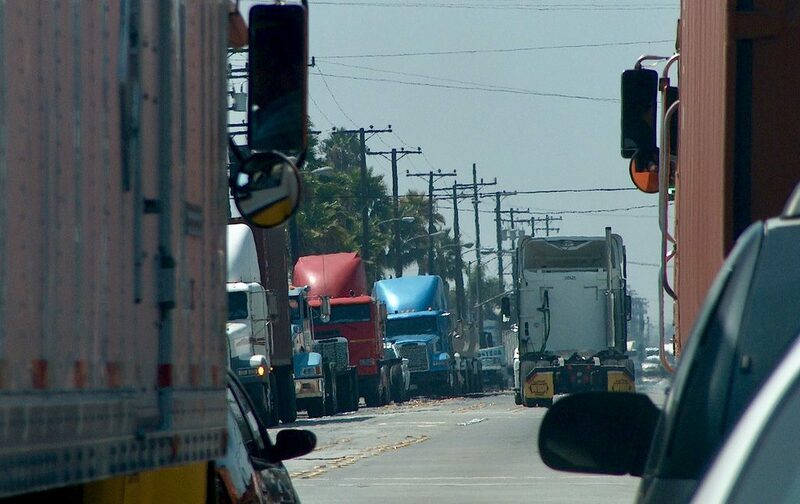 Thousands flitted between the semis clogging the Long Beach Freeway in the well-named southeast LA city of Commerce. I saw a few on Atlantic Avenue too, just outside the small storefront office of the grassroots-activist group East Yard Communities for Environmental Justice, which seemed like a good place to go for a more intimate perspective on the fossil-fuel economy than most mainstream environmentalist groups could hope to offer. With its wide, flat, and largely treeless avenues, Commerce is hardly glamorous, but it and the surrounding municipalities form, in the words of East Yard’s director, mark! Lopez, a key “artery of global capitalism.” Lopez, who is young, bearded, and as contagiously optimistic as the unconventional spelling of his first name suggests, doesn’t like the term “belly of the beast,” he tells me, “because if we’re in the belly we’re consumed; it’s too late”—and he has no interest in conceding defeat. The residents of Commerce and other towns like it—heavily industrial, mainly Latino and immigrant working-class communities arrayed along the freeway’s spine down to the harbor and the ports—have for decades been absorbing the impacts of an economy based on fossil fuels, global trade, and mass consumption. Well before the rest of the country began to notice the disastrous effects of climate change, what the economists call “growth” had been shortening the lives and foreshortening the possibilities of people in Commerce and the rest of southeast LA County. “Artery,” as Lopez used the word, is not just a metaphor: More than 40 percent of the containers shipped into the United States last year passed through the ports of Los Angeles and Long Beach. Most of those containers end up on trucks heading north on the Long Beach Freeway, either to the logistics hubs east of the city or to the “intermodal” yards in Commerce and East LA, where they are transferred to trains and hauled to more distant destinations around the United States. Before they get to you, wherever you are, all those cars, car parts, clothes, sneakers, TVs, computers, cell phones, and endlessly useful and alluring bits of plastic have likely passed through here. “Essentially,” Lopez puts it, “our communities are a huge parking lot for Walmart.” This means, Lopez says, that between “40,000 and 60,000 truck trips a day rolling through our communities,” and locomotives idling meters from people’s homes. (East Yard takes its name from the Union Pacific yards abutting the neighborhood.) Most of those trucks and locomotives run on diesel, which means dangerously elevated levels of particulate matter, i.e., soot, that sticks to the window sills and gathers in the lungs. Which means more kids with asthma, and cancer risks as much as 20 times higher than in communities just three miles distant from the rail yards. The result, says Lopez, is that residents get a “ground-to-global perspective” on the carbon economy that even the best-informed policy-makers can’t come close to. From inside these arteries, it is easy to make the kind of broad connections—between carbon, capital, and the abiding inequities that define us as a polity—that tend to baffle centrist pundits and politicians. As it has throughout the country, manufacturing has fled the neighborhoods around East Yard. Union jobs have been replaced with part-time and contracted temp work at warehouses. Rising rents are causing displacement throughout the region. Seen from outside, housing and employment may seem distinct from environmental devastation, but from within they are different faces of the same animal, one that doesn’t hesitate to sacrifice whole communities for profit. Southeast LA is not alone in this. Communities around Houston, in Appalachia’s coal country, and in the paths of oil pipelines from the Dakotas to the Louisiana bayou have been granted a similarly privileged perspective on the carbon economy. Just last week, in Houston, a fire at a petrochemical storage facility burned for four days, sending clouds of carcinogenic benzene over the surrounding working-class suburbs. 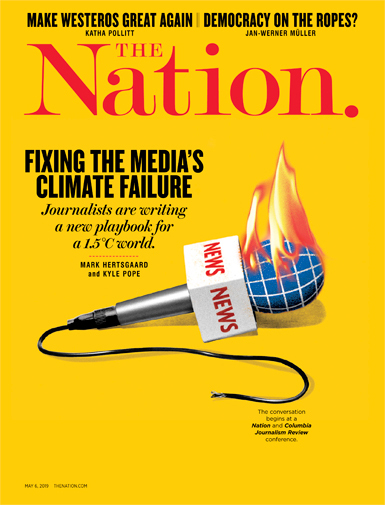 Looking at climate change solely on a planetary or even a national level, Lopez says, too easily produces blind spots. In other words, solutions can’t be left to those on top. If anyone can figure out how to avert the dead-end the species is rushing headlong into, it is the people who are already all too familiar not only with the environmental impacts of the petro-economy but also its relationship to political power, and its tendency to erase anyone who stands in the way of profit. All around the country, people—poor people, people of color, indigenous people, and immigrants, the people who get left out of most discussions about climate change—are refusing to be erased. The fight against the Dakota Access Pipeline made national headlines, but less-visible battles are happening all over. In southwest Chicago, activists shut down two coal-powered plants after a decade-long fight. In New Orleans, residents are trying to prevent the opening of a gas-fired plant by a deep-pocketed energy company with friends on the city council. In Houston, residents are struggling for their lives, fighting to stop a local Valero refinery from releasing toxic hydrogen cyanide into the air. From a community-owned rooftop solar farm in Brooklyn to an electric-vehicle community ride-share service for farmworkers in one of the poorest corners of California’s San Joaquin Valley, other groups are coming up with ambitious solutions to problems that government has refused to take on. If that sounds daunting—and given the obstacles and the timeframe, it certainly does—Lopez is quick to laugh about it. “What are we gonna do,” he says, “not fight? We don’t fight because we think we can win, we fight because we need to fight.” He talks about his children, and the battles his mother and his grandparents fought so that he wouldn’t have to. Leaving East Yard’s office, I thought about those butterflies again, all those millions of them heading north in a multigenerational migration, breeding as they go and flying on with an almost inconceivable determination towards a destination that neither they nor their immediate offspring will live to see. What are they gonna do, not fly?